JUST A REMINDER!! Be safe everyone!! POLICY FOR INCLEMENT WEATHER: Reminder that when bad weather strikes, there are certain rules in place, one of those being safety is the main thing. 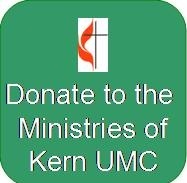 Kern Church follows Oak Ridge City Schools’ closings. If Oak Ridge City Schools close due to weather conditions, Kern Church office is closed, along with regularly scheduled church activities. It will be up to Pastor Dan as to whether Sunday Services are cancelled. Check our website, Facebook, email correspondence, WBIR, and other church resources for closings and delays.